Luke Skywalker will sport a gray beard in Lucasfilm’s upcoming Star Wars: Episode VII. Check out the photo below! A much leaner Mark Hamill has grown a beard for his role in Star Wars: Episode VII. 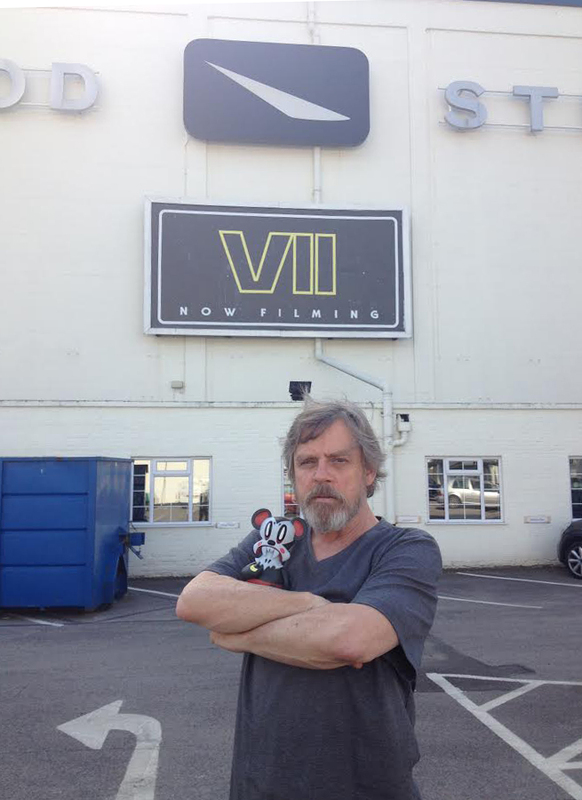 Hamill, who starred as Luke Skywalker in the original three ‘Star Wars’ films, is currently filming Episode VII at Pinewood Studios. The normally clean-cut actor began growing his facial hair earlier this year and now this latest photo confirms the Jedi Master’s new look. Hamill’s son Nathan Hamill posted the photo, featuring his “Lava Bear” creation, on his official website.